Do you have ancestry in Otago? 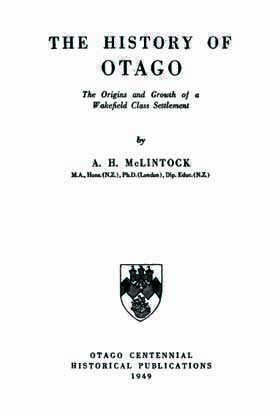 The History of Otago: The Origins and Growth of a Wakefield Class Settlement was written by Alexander H. McLintock in 1949 and dedicated to the pioneers of the area. 'Those humble souls, who, having little except faith, achieved much'. The contents of this book includes; a description of the early history of Otago, an area of the South Island of New Zealand. It also contains information about the history of the Maori people who occupied the area. There are details pertaining to the sealing and whaling years and early settlements of European communities and the provincial era of Scottish settlers. The chapter headings set the scene for the happenings that are recorded during the development of this beautiful area. It’s beauty is unveiled in descriptive words and black and white photographs. This is an invaluable genealogy tool for anyone exploring their Otago family history or building a family tree.